MGM Wireless will commence selling its Spacetalk device in the United Kingdom from April this year. Technology company MGM Wireless (ASX: MWR) will sell its all-in-one children’s smartphone, watch and GPS tracker in the United Kingdom from April of this year, marking yet another milestone. MGM Wireless has announced its latest round of international expansion just two months after launching the wearable Spacetalk device in New Zealand. Mark Fortunatow, founder and chief executive of MGM Wireless, says Spacetalk will be available on the UK high streets in the northern spring retail season, in the lead up to school holidays. “The UK launch is a natural step for Spacetalk,” Mr Fortunatow added. Spacetalk keeps children safe by immediately connecting them with their parents in real time. It was deliberately designed and built without access to the internet and the nasties of social media. Mr Fortunatow says MGM Wireless will make further announcements about UK retail partners over coming months and can speak with confidence about Australian sales since Spacetalk was launched in October 2017. MGM sold around 15,100 units up until 9 January 2019, before embarking on its back-to-school campaign. The company has sold 10,989 units in the first half of fiscal year 2019, more than 10 times the number sold in the same period last year. Total company first half fiscal year 2019 revenues exceeded $4 million (unaudited), an increase of 154% on the same period in fiscal year 2018. “MGM has achieved stellar Spacetalk sales and trading results in the important Christmas period,” Mr Fortunatow said. Since launching in October 2017, Spacetalk is now sold in 197 JB Hi-Fi stores across Australia and online. Leading Edge Computers sells Spacetalk in 120 outlets across Australia, and New Zealand telecommunications giant Spark sells Spacetalk in each of its 73 stores and online. MGM shares closed at $3.23 today, having risen substantially from $0.375 mark back in 21 November 2017. Anthony Black is a highly experienced business and finance journalist with over 25 years experience. He was finance editor of the Sunday Herald Sun for eight years and his reports were published in News Limited papers across Australia. 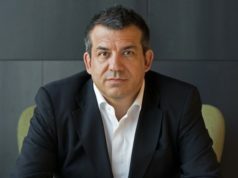 He has since written for numerous publications, including BRW for several years and has interviewed numerous ASX-listed company chief executives.